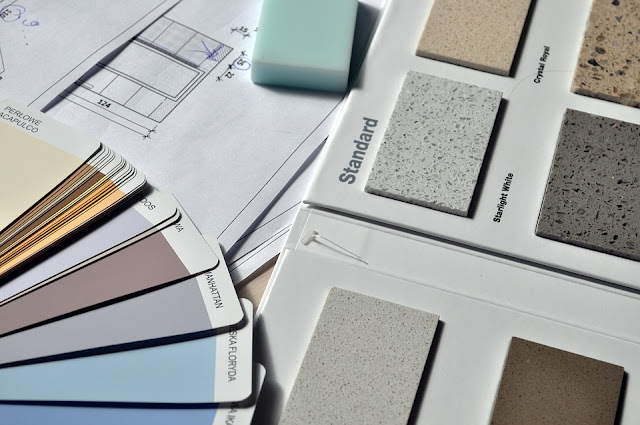 At the start of a new year, we all start thinking of what we’d like to do differently – and for many of us, those thoughts lead straight to dreams of home improvements. Maybe you’d like another bathroom or a brand new kitchen. Unfortunately, most of our budgets don’t quite stretch to that, but luckily, there are some home improvement solutions out there that might help in the short term. I moved into this house over two years ago and stupidly thought I myself could get everything done within six months. The long truth is, I only have my living room and kitchen done, and whilst my hallway has been plastered it does still need decorating. I've got a long road ahead of me, but I'm hoping to get little mans room sorted next. If you’re considering new storage solutions, try repurposing your old ones. Plastic shoe racks that hang on the inside of wardrobe doors can be used to store anything, from food in the kitchen to toys in your kids’ rooms. Some parents also attach them to the back of car seats so that their kids will have plenty of well organised things to do during long car journeys. You could also attach old drawers to the walls if they’re fairly narrow to use as shelves with storage. If you live in a city, chances are you have problems with hard water. This means that the water contains high levels of calcium carbonate thanks to coming from springs in chalk or limestone aquifers. If this is the case then limestone can build up and damage your pipes and appliances – and in the short term, you might find that your hair looks thin and lifeless and that any mild skin conditions you have may have been exacerbated by the hard water. Even if you’re terrible at home improvements, a water softener should be quick and easy to fit and will improve the quality of your water in no time. If your home doesn’t have enough insulation, then you’re probably finding January a particularly rough month! Houses lose heat through the walls and through the roof if there isn’t adequate insulation – and not only is this uncomfortable for you but it can also get very expensive very quickly. Luckily you can buy wadding from your local DIY store to add to the inside of your roof and walls. You could even tape it around indoor pipes if you want to make sure that they don’t freeze over. A lot of us feel that we haven’t got enough space in our homes. If you have more than one kid and they share a room but they keep fighting, it’s time to get creative with dividers. Try splitting the room in half – this enables your kids to have their own space and means that they won’t get their toys mixed up (because as we all know, as much as we’d like them to share, it often spills over into fights!). They should also have their own storage. If you have a large open plan living space that you’d like to split up, why not making it into a living area and a dining area with dividers? Look for them in antiques stores and then paint them the colour you want. A lighter colour will open up the space more. Making these small changes can really help your home, and help you financially!